If you can go into Lush and leave with only one thing, you have more will power than I do because if you're a regular reader you'll know that I have a problem when it comes to Lush products. From their bath bombs to face masks, I have tried a fair amount of their range, so today I thought I would give you the run down of the products I would recommend to those of you looking to add to your collection or for those that don't know where to start. 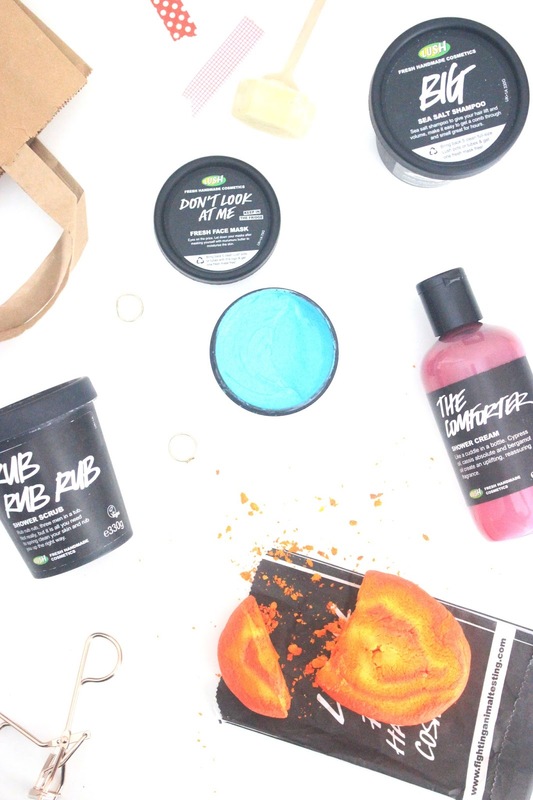 Lush Big Shampoo | As a hoarder of shampoo, it should come as no surprise that Lush would make an appearance in my collection too. 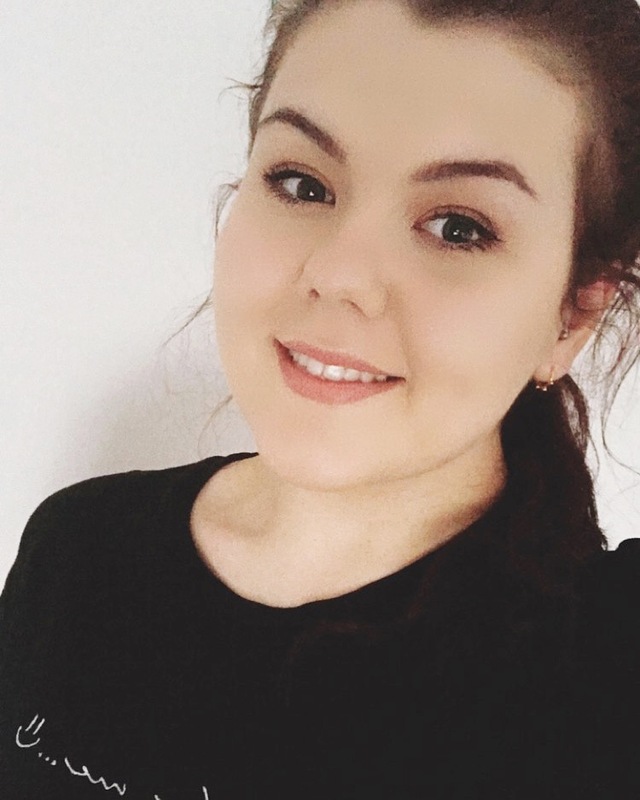 I've gone through tubs of Big shampoo and although it can be slightly drying on hair if you don't use a nourishing conditioner or oil afterwards, the effect it has on my hair is worth it. The large chunks of coarse sea salt add volume and bounce whilst making the hair feel lightweight and thoroughly cleansed. If you've got fine hair like myself or you're after a shampoo that'll add texture and give a loose, tousled finish, then I would recommend giving Big a try. Lush The Comforter Shower Cream | When I first heard that they were releasing The Comforter in shower cream form, I may have let out a little squeal or two. This product was thoroughly anticipated in my household and when I finally got my hands on a bottle, it didn't disappoint. Unlike many other shower gels, this shower cream scent lasts on the skin and lathers up wonderfully, nourishing the skin as it cleanses. Whether you go for a little or a large bottle, you'll be sure to fall head over heels for this berry scented shower cream. 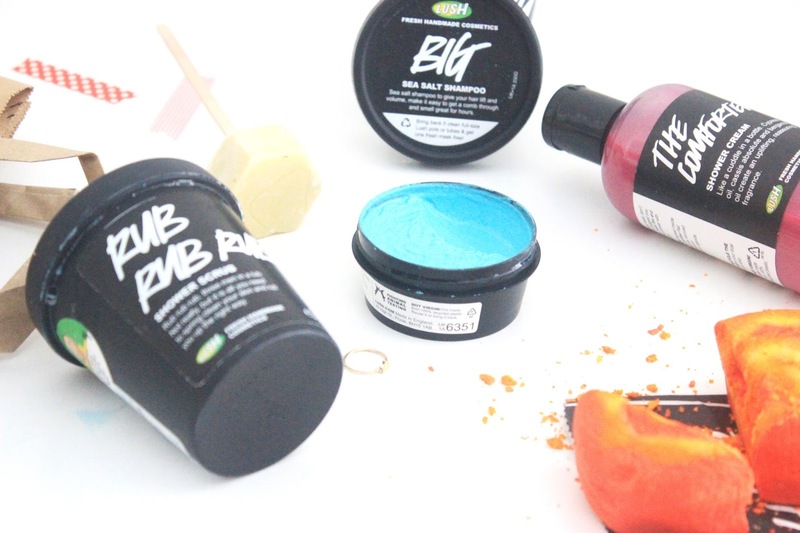 Lush Rub Rub Rub Shower Scrub | Although Rub Rub Rub can be used in a similar way to Big, my favourite way to use this product is by slathering it on my body and giving it a good scrub. Enriched with fine sea salt, lemon juice and Mimosa absolute, this scrub exfoliates, cleanses and refreshes the skin leaving it feeling nourished and soft. When I first started using this scrub I thought it would be too abrasive for my sensitive skin, but after a few uses I noticed massive improvements to my blemishes and impurities on my body. Several pots later and I can say that this is one of my favourite scrubs; perfect for cleansing and making my skin glow. Lush Don't Look At Me Mask | During the changing seasons my skin never seems to know what it's doing and it ends up being dry, sensitive and oily all at the same time. Although I have quite an extensive collection of face masks, it's the Lush Fresh Face Masks I reach for whenever my skin is in a crisis. Don't Look At Me is enriched with Murumuru Butter and Lemon Juice, perfect for moisturising and refreshing the complexion. This face mask gently exfoliates; promoting soft, radiant skin that is the perfect base for make up. What I love and notice most about this face mask is how nourished my skin feels and how glowy it looks after one use. Lush Brightside Bubble Bar | If someone only had £5 and asked me what Lush product they should buy, I would 100% recommend their Brightside or The Comforter bubble bars. With a rich, tangerine scent and uplifting, essential oils, this bubble bar produces masses of bright coloured bubbles that refresh the skin. This bar can be split into multiple pieces making for several weeks worth of a big bath of orange bubbles that leaves a lingering orange scent on the skin. Now who wouldn't want that? Lush Damaged Hot Oil Treatment | If there's one of the Oxford Street exclusive products you need to try, it's the Damaged Hot Oil Treatment. Despite not being a fan of standard hair masks, I have found that my hair has reaped the benefits of this hot oil treatment that not only helps my dry, damaged hair, but it also promotes hair growth, making my hair look and feel thicker. Packed full of almond, avocado and extra virgin oils which deeply replenish and rehydrate, my hair has never smelt or felt better. Once I apply the thick, rich cream all over my hair, my locks seem to drink up the product and it dries pretty quickly. After a quick shampoo and blow dry, my hair feels smooth, manageable and full of life. As I use an endless amount of heat on my hair and I dye it regularly, these hot oil treatments have become life savers and true bathroom cabinet must haves.